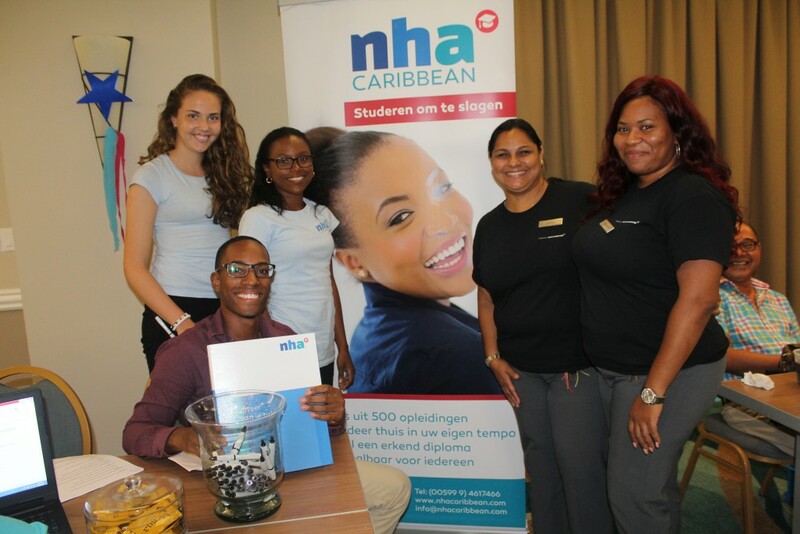 WILLEMSTAD – Hilton Curacao has taken part in Careers@Hilton Week, Hilton’s annual global career event showcasing the many opportunities available in the hospitality industry for youth and other job seekers. From May 15 to May 31, Hilton hotels and corporate offices around the globe are hosting hundreds of events to inform young people about the exciting and diverse career opportunities in the hospitality industry. On May 31st, Hilton Curaçao hosted the Hilton TM Career Fair 2017, in which various trainings, workshops and courses were given in order to encourage team members to develop their career and personal life, and increase their performance. Opleiding ABC Training, Yes! Recruitment & Training, Inter-Continental University of the Caribbean, Curaçao Hospitality and Tourism Association (CHATA), Instituto Venezolano para la Cultura y la Cooperación (IVCC), NHA Caribbean were partners to make the event a great success. “Hilton is a great place to work because we value our people, we believe in their talent and capabilities and we want to help them to grow and build their future” said Paula Castaño, Training Manager. “An event like this aligns with our vision; it is our commitment and our responsibility. Therefore we are Hilton, we are Hospitality”.